Our company’s Orange County water filtration experts are standing by to help get your water safe and clean. If your water clogs your pipes or stains your shower, you are likely wondering how you can solve the issue. Many people face this problem but have no idea how they can overcome it but we at Scott English Plumbing can help provide the right solution for your home. When you get a Orange County water softener installation, you’ll be happy with your increased water quality. 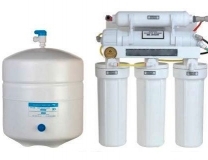 To learn more about our expert water filtration in Orange County and our other reliable services give us a call today at 949-462-9773 or visit our office at 1230 North Jefferson Street, Suite H, Anaheim CA 92807. Before you spend your money on water softeners in Orange County, we want you to know the benefits. When water travels to your home, apartment or place of business, it will collect minerals along the way. These minerals can discolor your water, stain your floors and react to soap, but you don’t need to live with those issues. After you hire an Orange County water softener installation team, you will no longer encounter hard water. Your Orange County water filtration system will provide you with pure water that will feel great on your skin and that won’t stain your shower or dishes. When you pour a glass of water, you will taste the difference with your first sip. You can get started right away when your mission is to get Orange County water quality test. The pure and untouched water that you have always wanted is just around the corner, and our team is ready to answer your call. When you reach out to us with your concerns or questions, we will even provide you with a free estimate. You will have nothing to lose when you know what to expect at each step of our Orange County water quality test, so we encourage you to speak with our team immediately. As far as water filtration in Orange County is concerned, you won’t have any problems finding a business that wants to give you a hand, we strive to stand out from the rest at Scott English Plumbing. We want to provide the best possible treatment for hard water in Orange County, and our customers know that we care about their needs. 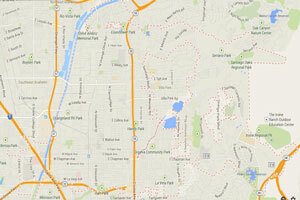 If you would like Orange County water quality test on which you can depend on, we can help. Grab the phone and dial 949-462-9773 today to schedule a service in your home.